If you have diabetes, you are one of 26 million Americans that comprise just over 8% of the population. Another 79 million people are considered “pre-diabetic” or at risk for developing the disease. Yet, the Centers for Disease Control and Prevention says that “small changes can make a big difference in preventing health challenges.” Finding a regular podiatrist is one thing you can do to take control of your situation. Diabetes will cost America $476 million in the next 24 hours, according to the American Diabetes Association. 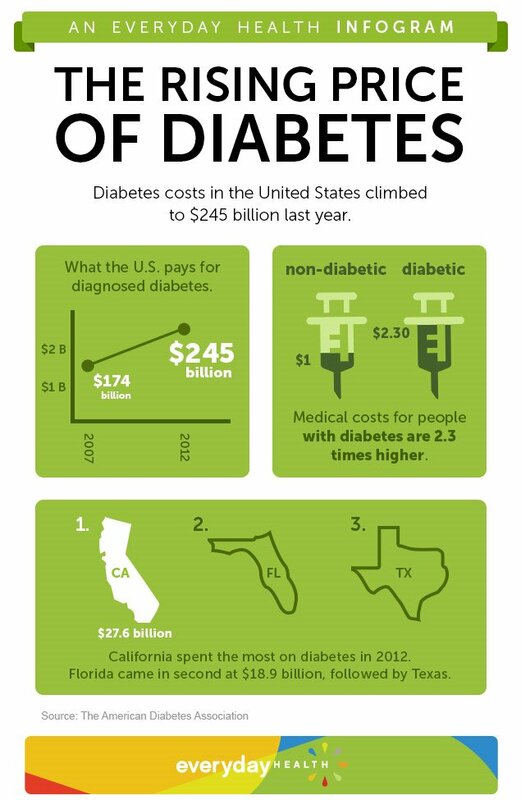 How Much Is Diabetes Costing America? Up to a quarter of diabetics develop foot ulcers, which require a lot of care over an extended period of time and could lead to pretty serious complications, such as infection and amputation. A study published in the March issue of Diabetes Care found that diabetic foot ulcer care adds $9 billion to $13 billion to annual health care costs. In fact, having a foot ulcer doubles the cost of care for a diabetic. According to the study, the additional costs associated with foot ulcers ranged from $11,710 to $16,883. Hospitalizations accounted for roughly two-thirds of the expense. Nationally, the cost of diabetes foot ulcers may be costing our system as much as $13 billion — and that’s not even including other diabetes-related treatment expenses! Diabetes is expensive, but many of the biggest costs can be prevented. Why Are Diabetic Foot Ulcers so Expensive? It’s amazing how a small blister, callus, or cut on the foot can spiral into such an expensive and limb-threatening complication. Yet, patients with peripheral neuropathy lose sensation in their feet and can walk around with cuts and sores on their feet for weeks or months without realizing it. These slow-healing wounds require many interventions at emergency rooms, outpatient clinics, hospitals, doctor / podiatrist offices, and at home. The costs accumulate over time, and include professional analysis, medication, alternate therapies, bandages, and debridement. The study also found that 3.8% of Medicare recipients and 5% of the privately insured required an amputation. Researchers say they hope the study leads to better monitoring and early intervention to avoid costly and extreme outcomes. “Daily inspection and cleansing of the feet—which isn’t complicated or expensive—can go a long way toward preventing foot ulcers, which can lead to amputations,” reports the Wall Street Journal. The risk of amputation could be reduced by 45 to 85% with good foot care, they add. Johns Hopkins experts say that regular visits to a podiatrist for foot exams and nail trimmings can reduce patient costs by up to $20,000 a year! The Center for Podiatric Care and Sports Medicine in New York City has board-certified podiatrists who specialize in diabetes care. Dr. Katherine Lai is a foot surgeon who has lectured extensively on the diabetic foot and wound care. Dr. Nadia Levy trained extensively in diabetic foot wound care during her residency at Saint Francis Hospital and Medical Center in Hartford, Connecticut. Dr. Josef Geldwert is the Chairman of Surgery for the Diabetic Foot at New York Medical College, and practices surgery at the Montefiore Medical Center. Book your appointment online to save money and maintain your health.